One of Bampton's many patches of common land and therefore not properly a village green, Bomby Green had been allowed to become very overgrown. After a few unsuccessful attempts to restore it, in 2009 a management group was set up as a sub-committee of the Bampton Commoners. After a few seasons of care, the green is now looking much more attractive and provides an amenity for the village. Dog walkers who use the area are reminded of the importance of clearing up any leavings thus keeping the grass fit for children's play. This improvement has been achieved in a variety of ways. 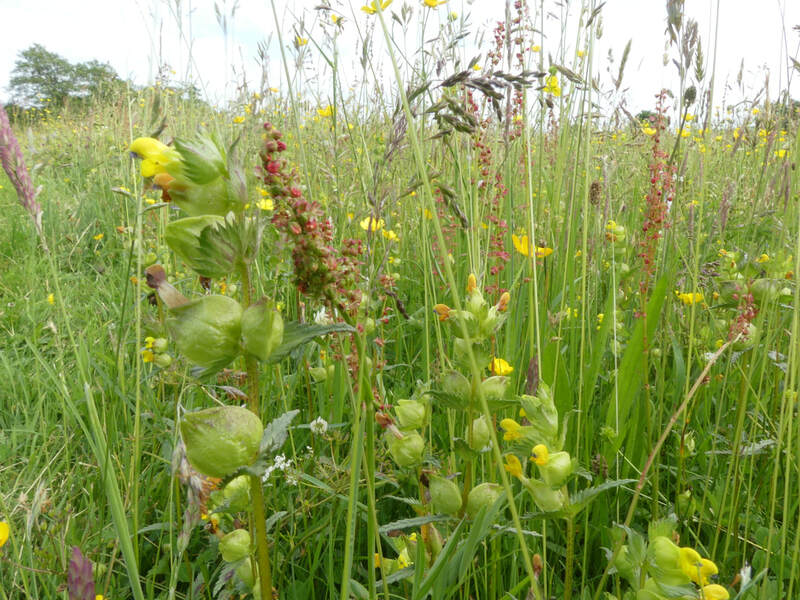 Yellow Rattle was sown to counter attack the invasive tougher tussocky grass which had made much of the area inaccessible. This has now spread naturally. Annually a large part of the green is cut by a local farmer and the hay removed. This has helped better grass to flourish. In turn the wild flowers have returned as well as snowdrops which no-one had realized were there. The clearance of a ditch alongside the road helps with drainage but trees which have grown up in the last half century interrupt the flow of water and currently the committee is looking to divert the ditch to improve this without jeopardizing the trees. In addition, annually in time for the cuttings and brush to go on the Bampton Bonfire which is always lit on the green on November 5th, the committee and willing helpers cut back the invasive scrub along the river's edge. Anyone can visit the green at any time but from time to time there are special open days when committee members are pleased to show people around the green.